fes desert tour 3 days 2 nights from fes to fes. 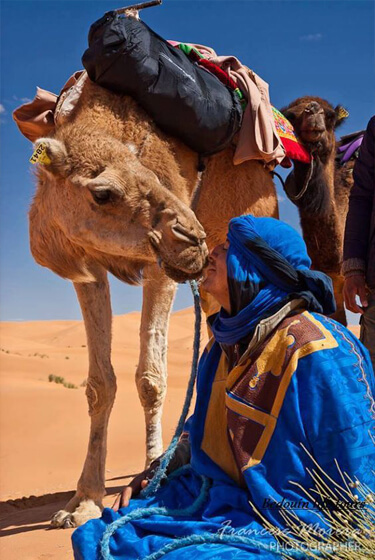 Fes desert tours 2 days is a tour that will blow your mind with taking you from Fes, and through the Middle atlas mountains arriving to the golden Moroccan desert. Fes desert tours 3 days will start with our driver picking you up from you accommodation/hotel or Airport early in the morning, heading toward the first day destination Todgha Gorges. Through this journey we will be passing by Ifrane with its fascinating nature, to the cedar forest of Azrou, where we stop to enjoy the scenes of the Monkeys and fascinating mountains, you can take pictures to capture the beauty of Morocco. Afterwards, we will proceed our ride to Midelt where we will stop for a lunch break, in a local restaurant with Moroccan tasty dishes. We will continue our ride through the wonders of nature of Morocco towards Todgha Gorges, where we will have dinner and stay the night. The first day of Fes desert tours 3 days had ended. The second day of Fes desert tours 3 days, will begin after having breakfast, towards our main destination Merzouga. Through this ride we will pass by several Berber villages and cities, such as Tenghir, Tinjdad and erfoud where you can start to feel the golden warm atmosphere of the Sahara. After, we will get to explore the oasis of Tafilat. 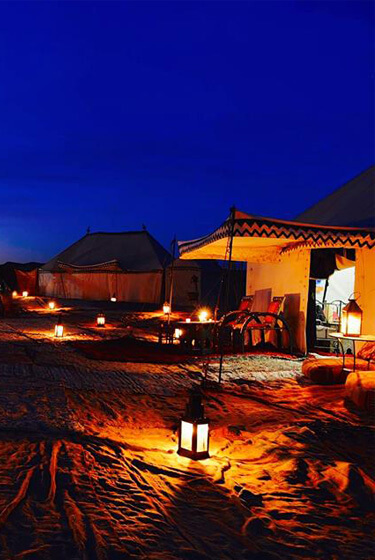 After arriving to Merzouga we will have time to freshen up and relax before go camel trekking in the dunes of Erg Chebbi, so you can enjoy the warm and quite surroundings. Our ride on the camels in this fes desert tours 3 days will take us to our camps, where we will take a small walk to admire the views of the golden sand dunes, where it is perfect for sand boarding fans. 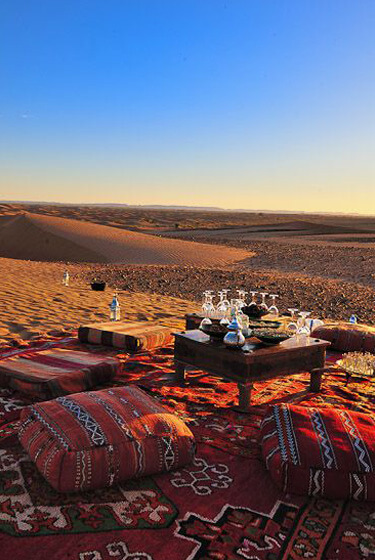 Afterwards, we will watch the mezmerizing sunset before coming back to the nomadic tent to relax and have dinner. With this we end our second day of Fes desert tours 3 days. The last day of our fes desert tour 3 days will begin early in the morning in order to observe the magical sunrise, next we will have breakfast and head towards Merzouga on camels, to shower and freshen up. Then we will go back to Fes passing by Ziz Valley and the Atlas Mountains enjoying the sightseeing’s of nature. This would be the end of our Fes desert tour 3 days, our professional driver wilml drop you off at your accommodation or Airport.